GEORGE VICESIMUS WIGRAM, the twentieth child of Sir Robert Wigram was born in 1805. He was one of the outstanding men in the early days of the Brethren movement. Converted as a young man in 1824, he devoted himself to a lifelong study of the Scriptures. He was editor of The Christian Witness, a monthly periodical, and traveled to many countries preaching the Word. His writings touch on many subjects but always display the beauties of Christ, their author having drunk deeply of the living waters of God's precious Word. He went to be with the Lord in 1879. 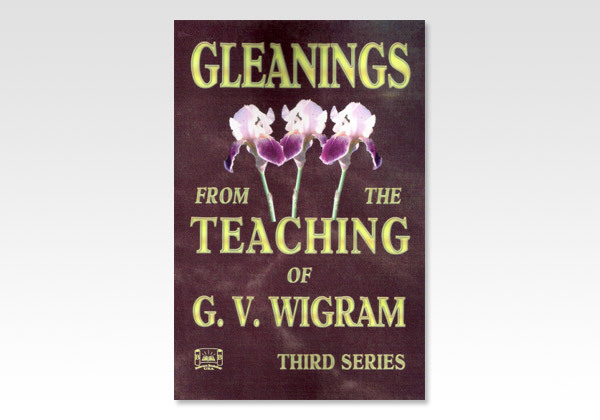 125 pages - Softcover - Author: Wigram, G. V.